The practical value of the presented study cannot be underestimated due to the still observed high unemployment rate of older people and the lack of a coherent and comprehensive political and social programs in this area. The principal concern of research study conducted in the framework of scientific project was to examine the different efforts and initiatives, including legal measures and instruments undertaken to limit the scope of the aforementioned phenomenon. For this aim research objectives were focused on re-conceptualization of legal measures drawn on model perspective. The research was based on examining the legal regulations of selected European countries: Belgium, the Czech Republic, Denmark, Finland, the Netherlands, Lithuania, Germany, Slovakia and Hungary. 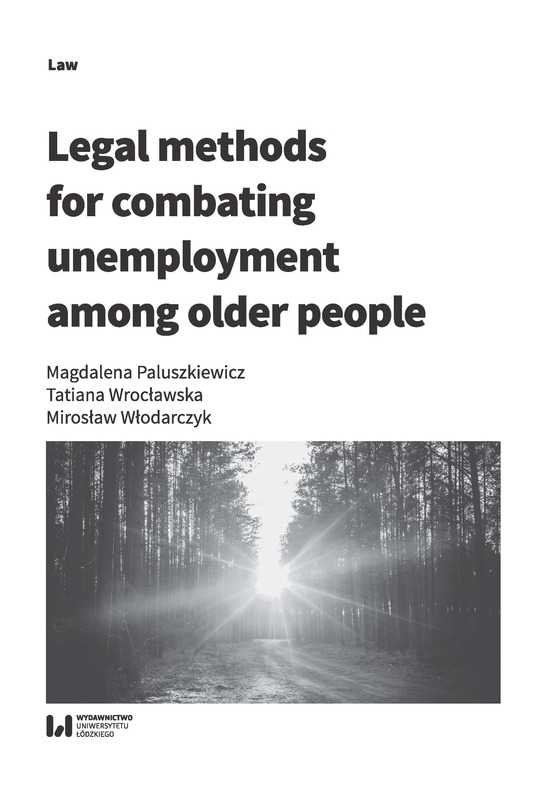 The objective scope of the study cover analyses of the Iegal institutions, successfully used in the aforementioned countries to reduce or displace unemployment providing some assumptions for their application in Polish social and economic circumstances.